Rainbow Books 2010: a bibliography of picture books as well as fiction and nonfiction for older children and teens from ALA Rainbow Project. Peek: "The Gay, Lesbian, Bisexual, and Transgendered Round Table and the Social Responsibilities Round Table of the American Library Association have released the 2010 Rainbow Project Bibliography of recommended titles for youth from birth to age 18 that contain significant and authentic gay, lesbian, bisexual, transgender, queer, or questioning (GLBTQ) content." 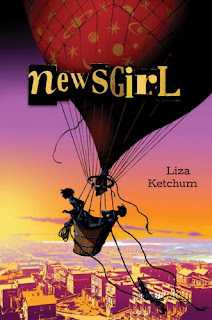 Note: selections include Newsgirl by Liza Ketchum (Viking, 2009). Multiculturalism Rocks! A blog on multiculturalism in children's literature. from Nathalie Mvondo. Peek: "This blog celebrates multiculturalism in children's literature and the people who make it happen." See Interview: Editorial Director Stacy Whitman of Tu Publishing from Multiculturalism Rocks. Peek: "As we started on this journey, working on a business plan with the local Small Business Administration office, I did a lot of research..., and found that small presses are growing now. Some of the big houses started out as smaller houses during the huge downturn of the late 1970s and during the Great Depression. 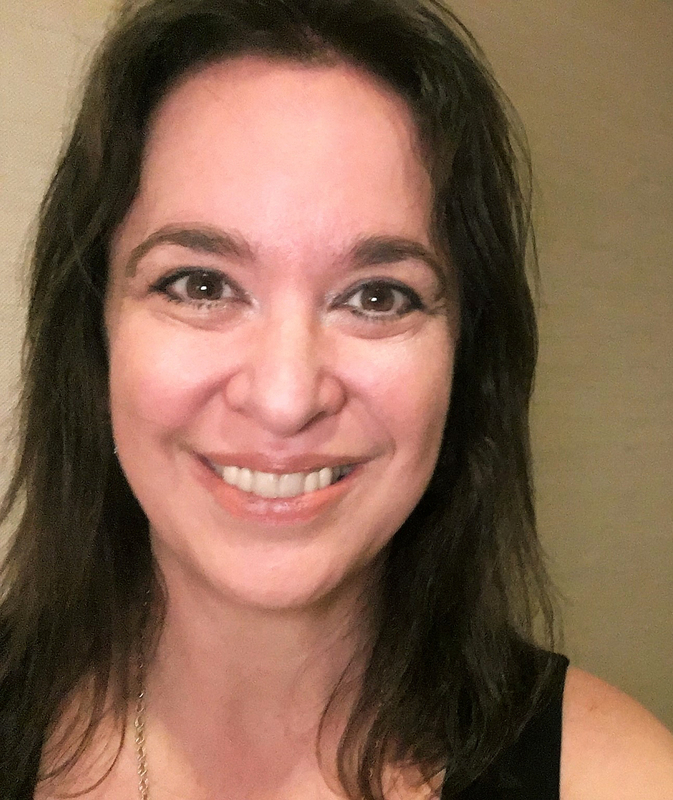 So that gives me some hope that we’re on the right track...."
Interview with Editor-Author Jill Santopolo by Kyra from Throwing Up Words: Because sometimes it's the only option. Peek: "I think the most important thing is to write about something you love or a story you feel compelled to share. That’s when an author’s writing is the strongest, when the story means something to him or her." Read a Cynsations interview with Jill. When the ALA Calls: Stead and Pinkney on Winning the Big Prize by Diane Roback from Publishers Weekly. Peek: "When you win a Newbery or a Caldecott Medal, you find out in a phone call—usually very early in the morning—and then your life is instantly changed. Both Rebecca Stead and Jerry Pinkney got that phone call this past Monday morning; we spoke with both of them to find out where they were when the phone rang, what their reactions were, and what came next." Cover Stories: The Chosen One by Carol Lynch Williams by Melissa C. Walker from readergirlz. Peek: "...when I saw the cover, I thought, 'This is Kyra, free. This is Kyra on the inside.'" Read a Cynsations interview with Carol. Structure by Brian Yansky from Brian's Blog: Writer Talk. Peek: "In terms of structure, these localized desires need to feed into the larger themes. If they do, then the localized action will add to the larger action." Read a Cynsations interview with Brian. Whatcha Reading Now? : a new site from Jodi Wayne, Kerry O’Malley Cerra, Michelle Delisle, Susan Zide Safra. Peek: "We, the fabulous girls of Whatcha' Reading Now?, promise to bring you books for kids and teens that will make you think, cry, laugh out loud, or keep you at the edge of your seat. We love books that will make you think about the world in a new perspective and books that you won’t forget long after you’ve turned the last page. We promise to read with passion, diligence, and open-mindedness to bring you reviews of books we love." Don't miss the January 2010 issue celebrating dystopian YA literature. The Ghost Writer by Karen Cioffi from Karen and Robyn--Writing for Children. Peek: "He’s kind of like a superhero of the writing world. He lifts you up and helps you create what you don’t have the time, energy or skill to do yourself." The Carnival of Children's Literature is Back by Anastasia Suen from Picture Book of the Day. 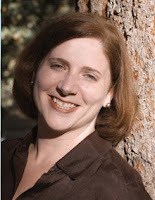 Peek: "Our January 2010 host is Jenny Schwartzberg at Jenny’s Wonderland of Books. Our first 2010 carnival date is Jan 30. (Please have your posts in by midnight Jan 29.)" Note: For debut authors, Anastasia is offering the online class School Visits 101 Workshop, starting Feb. 3. Congratulations to the children's-YA nominees for the 2010 Edgar Awards, given by the Mystery Writers of America! Source: Tasha Saecker from Kids Lit: Books for toddlers through teens, plus reading, writing and more. Read Cynsations interviews with nominees John C. Ford, Saundra Mitchell, and Aaron Reynolds. Peni R. Griffin: Idea Garage Sale: a blog from the San Antonio-based middle-grade and YA novelist. Peek: "The cliche question all authors hate - 'Where do you get your ideas?' The idea is the easy part. The idea is so easy to get, you can't give them away. I'm here to give them away, to share them, and invite you to recognize yours. We're all creative. Not all of us pay attention." Read a Cynsations interview with Peni. K.A. Holt's Online Disaster: Wherein I Write About Things A Writer Might Write About Writing: a new URL for the blog from the Austin-based speculative fiction novelist. See also K.A. Holt's YouTube page. Read a Cynsations interview with K.A. Holt. Decidophopia by Kristi Holl from Writer's First Aid. Peek: "Years down the road, when the kids were in school and then grown, Decidophopia set in. Suddenly I had some choices. Even with teaching part-time, I could schedule most of my days however I wanted." Getting the Most Out of Twitter by Kate Fall from Author2Author. Peek: "Just like the trick to loving a new neighborhood is to connect with the right people, the trick to loving Twitter is to follow the right people. Twitter is for my writing life. Facebook is for my personal life." 2010 Amelia Bloomer List: Recommended Feminist Literature from Birth through 18 from Amelia Bloomer Project. Peek: "This list is in alphabetical order by author; a more formalized list (sorted by reading categories, with an introduction and annotations), is forthcoming." Selections include Supergirls: fashion, feminism, fantasy, and the history of comic book heroines. by Mike Madrid (Exterminating Angel Press, 2009); see also a tie-in video (follows commercial). Author-Editor Lauren Tarshis shares her Top 6 1/2 List of What Makes a Good Short Story from Donna Gephart at Wild About Words. Peek: "It's essential that there is something your character needs to gain or stands to lose." Positivity by Adrienne Kress from The Temp, The Actress, and The Writer. Peek: "Twitter wisely. By which I mean, if you find you are following someone that you constantly feel jealous of, or if you find you are following someone who only wants to post links to articles about how crappy the writing world is these days, stop following them. Follow people who inspire you, follow people you care about; you have the choice." SCBWI Prairie Writer's Day part one and part two by Tabitha Olson from Writer Musings. "The best way to learn voice is through example, by analyzing published works. Look at word choice, sentence structure, and other writing features that create the voice. How did these authors do it? How would you do it?" FSG’s [Margaret] Ferguson Gets Her Own Imprint by John A. Sellers from Publishers Weekly. Peek: "The imprint was announced Monday in a memo to staffers from FSG BFYR publisher Simon Boughton, in which he called Ferguson 'the heart, soul, and brains of the Farrar, Straus & Giroux children’s publishing program.' The imprint will publish approximately 15 titles per year, across all age ranges and formats." Source: Anastasia Suen. Giveaway of Timekeeper Moon by Joni Sensel, 11th Grade Burns by Heather Brewer & Incarceron by Catherine Fisher from The Spectacle. Peek: "Authors talk about writing speculative fiction for teens and pre-teens." Marvelous Marketer: Cheryl Klein (Senior Editor, Arthur Levine Books) by Shelli at Market My Words. Peek: "Friends on Facebook from my high school class have told me they’re planning to buy my book, and most of them aren’t even interested in writing for children!" Dialogue: A Balancing Act by Sarah Sullivan from Through the Tollbooth. Peek: "Pull out your writing how-to books and you will read that dialogue serves two purposes: 1. To reveal character and 2. To advance plot." Harper Debuts Writing Site for Teens by John A. Sellers from Publishers Weekly. Peek: "...the official launch of inkpop, an interactive writing platform and community for teenagers created by the HarperTeen imprint of HarperCollins Children’s Books. Inkpop serves as an online community for young writers; the publisher calls inkpop the 'anchor' of its digital strategy for the teen market." Sarah LaPolla is now freelance critiquing YA fiction, and Tracy Marchini is now freelance critiquing picture books, early chapter books, middle grade and young adult fiction and non-fiction. Read a Cynsations interview with Tracy. The Coldest Girl in Coldtown by Holly Black: a short story from BSC. Peek: "...today we are pleased to offer our readers 'The Coldest Girl in Coldtown,' a story from Holly Black’s The Poison Eaters and Other Stories (Big Mouth House, 2010). I want to tell you how this is the first collection by Black, that she is the co-writer of the Spiderwick Chronicles, and that she has seen her name on the NY Times Bestselling list, but then I’d be stealing back the thunder that Grant stole from me by sending me this rather concise official word (after which, you can get to the story!)..." Read a Cynsations interview with Holly. Staff Post: Christy Ottaviano, Editorial Director Christy Ottaviano Books from Get to the Point: a Blog from Macmillan Children's Publishing Group. Peek: "Nothing gives me more satisfaction than to watch a writer I admire grow stronger with each new book and push themselves in ways they never thought possible." SCBWI Team Blog Pre-Conference Interview: Editor Alvina Ling by Jolie Stekly from Cuppa Jolie. Peek: "...I’m often asking authors to bring more emotion into the work, and am also keeping an eye on making sure each book is a very satisfying read." Conference Tips (Especially for the Less Experience Conference-Goer) by Jane Makuch from Alice's CWIM Blog. Peek: "Clean and pressed doesn't have to mean expensive, but it does show professionalism." Note: many SCBWI conferences don't have a "pitch" opportunity (if it's not in the program, don't try to create it independently by cornering an agent), but many of the other tips apply across the board. Is It True Yet? I Sure Hope So. by Jo Knowles. Peek: "At some point, you can't ask your beloved critique partners to read another draft. There's just not enough time. And really, at some point, you have to stop relying on everyone else to tell you yes or no. Because you're the only one who can really answer that all important question: "Is it true?'" Read a Cynsations interview with Jo. Cynsational Author/Illustrator Speaker Tip: be respectful of regional diversity, your audience, and your hosts. Don't say to a one-time hometown crowd, "Boy, I'm glad I made it out of this place!" or minimize local authors or make disparaging remarks based on your (mis)conceptions of local politics. Err on the side of graciousness and focus on writing, books, young readers and the people who connect books to them. Dissect a Scene by Darcy Pattison from Fiction Notes. A quick look at the basics of a scene. Read a Cynsations interview with Darcy. Book Addict: A blog about books, writing, authors, publishers and more books from Melissa Buron. Check out Melissa's recent interviews with Varsha Bajaj, Vicki Sansum, P.J. Hoover, Kimberly Willis Holt, Shana Burg, Dotti Enderle, Jenny Moss, and Cynthia Leitich Smith. Peek from Varsha, "My father and grandfather were perfumers and sampling strips of sandalwood and jasmine were always being sniffed and perfected. Making perfumes became a part of my imaginative play. Didn’t everyone make perfumes of dirt, crushed flowers and pebbles?" Note: add Melissa on LJ. Fieldnote #2 by Steven Withrow: Steven Malk, Children’s Book Agent from Jules at Seven Impossible Things Before Breakfast. Peek: "I completely understand the impulse to want to get your work out into the world as soon as you possibly can—I really do—but it really behooves you to take some time and think hard about your overall career strategy and what sort of agent you want." Reed's Interview with Gary Paulsen from National Geographic Kids. Peek: [on his favorite sled dog] "Cookie saved my life once. I was trapping beaver. I took one step and went down in 12 feet of water. It was about 30 below outside above the water. I saw a rope that had come with me off the sled, and it started to move. Cookie got the team up and pulled me out of the hole. When I retired her, I brought her in the house and she never went out again." Source: @randomhousekids. Featured Sweetheart: David Macinnis Gill from the Texas Sweethearts. Peek: "Know your field of literature and know the audience that it serves. There are reasons that the books published today are being published, and to understand those reasons—and how you work fits into a growing canon of work—you need to read." Read a Cynsations interview with David. Tricks of the Trade: Revision Tips from Picture Book Authors by Michelle Markel from The Cat and the Fiddle. Peek: "Today TC & TF features revision tips from authors who have taught in UCLA Extension’s Writers Program." Read a Cynsations interview with Michelle. Anatomy of Buying a Picture Book by Josie Leavitt from ShelfTalker: A Children's Bookseller's Blog. Peek: "I buy fewer [hardcover picture book] titles, but more copies of books. This is risky, but there's a comfort level customers see with multiple copies of a single title. It sends a message that we like this book enough to have five on hand. Multiple copies are also easier to display, thus making them easier to see and to buy." Show v. Tell by Brian Yansky from Brian's Blog: Writer Talk. Peek: "This ridiculous advice is passed along like it’s one of the Ten Commandments. I’m hear to tell you, brothers and sisters, it is not. No novel only shows." Read a Cynsations interview with Brian. Starting Over: Why Helen Hemphill gave up a successful career in business to write novels for children by Susannah Felts from Chapter 16, a community of Tennessee writers, readers & passersby. Peek: "Twelve years ago, the Texas-born, Nashville-based novelist was doing PR for the finance industry--about as far from the bright colors and characters of the children's--book section as it's possible to get. Then, after more than two decades, Hemphill walked away: "It was glitzy and glamorous in a crazy way, but it wasn't me...." Read a Cynsations interview with Helen. SCBWI Team Blog Pre-Conference Interview: Eddie Gamarra of the Gotham Group by Lee Wind from I'm Here. I'm Queer. What the Hell Do I Read? Peek: "Eddie Gamarra is a literary manager/producer at The Gotham Group, specializing in representing works for TV, Film and Dramatic rights." 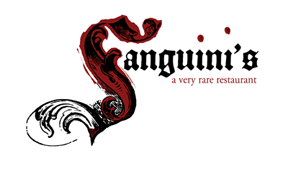 SCBWI Team Blog Pre-Conference Interview: Razorbill President Ben Schrank from Suzanne Young. Peek: on blogging/vlogging, "I have heard our marketing people say that ‘it depends on the author’ and I agree with that. We know that Sarah Dessen has been blogging forever and is enormously successful at it. But there are authors who do not blog, who are also very successful." Growing a Thicker Skin by Mary Kole, a children's-YA writer and associate agent at the Andrea Brown Literary Agency, from Kidlit.com. Peek: "It’s in your best interest to develop a thick skin, learn how to take criticism and rejection, separate yourself from what you’ve put on a page, learn everything you can about the industry, get realistic, and keep writing every day." Source: @inkyelbows. 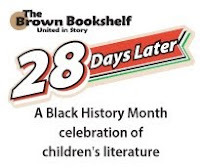 28 Days Later: A Black History Month Celebration of Children's Literature kicks off Feb. 1 at The Brown Bookshelf. We're talking 24 authors and 4 illustrators in 28 days! See the 28 Days Later downloadable poster from Don Tate. Read a Cynsations interview with the founders of The Brown Bookshelf. On "Using Social" Media by Janni Lee Simner from Desert Dispatches. Peek: "My take on the Internet from a writer's perspective is this: it isn't a street corner for hawking your wares. It's a giant sprawling party. The rules of how to act here aren't all that complicated, because they're pretty much the same rules that apply to parties everywhere: Be polite...." Read a Cynsations interview with Janni. YALSA Axes Venerable BBYA List by Debra Lau Whelan from School Library Journal. Peek: "BBYA will no longer exist, but there’ll be a new list called 'Best Fiction for Young Adults.'" This Week's New Releases from Teenreads.com Blog. Highlights include the paperback release of Bones of Faerie by Janni Lee Simner (Random House). Read "Invasive Species" a short story by Janni set in the same universe from Coyote Wild (Aug. 2008). Read a Cynsations interview with Janni. 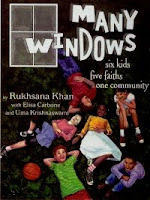 Children's Books with Muslim and Related Cultural Themes from Rukhsana Khan. 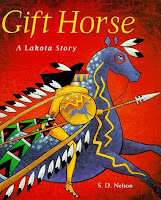 Categories include contemporary picture books, contemporary novels and short story collections, folktales, nonfiction, and other resources for educators. Love Me or Hate Me, It Doesn't Matter by Lisa Schroeder from Author2Author. Peek: "I turned off my Google Alerts recently, and YA author Sara Zarr congratulated me on taking that step." Read a Cynsations interview with Lisa. Congratulations to Bethany Hegedus and Kekla Magoon on the winter issue of Hunger Mountain, dedicated to the memory of Norma Fox Mazer and focusing on the theme of controversy. Highlights include tributes to Norma by her daughter Anne Mazer, editor Rosemary Brosnan of HarperCollins, former student Deborah Wiles, and Marion Dane Bauer. Beyond that, Kathi Appelt talks about Blurring the Lines, Lisa Jahn-Clough tackles censorship, and J. Patrick Lewis asks "Can Children's Poetry Matter?" See also thoughts from agent Regina Brooks and agents Holly McGhee and Emily Van Beek and much more! Since 1983, the Judy Goddard Award has been given every year to an outstanding writer or illustrator of books for children. In 1997, a second Judy Goddard Award was added for an author of young adult literature. Note: recent honorees include S.D. Nelson. The winners must either live in Arizona or have a close connection with the state. The prize is awarded jointly by Libraries, Ltd, an Arizona organization founded by Mrs. Goddard (wife of Arizona Governor Sam Goddard) and her friends 40 years ago to promote literacy in children, and the Arizona Library Association. Check out this video of Sydney Taylor Book Awards Gold Medal Winners from Jewish Books for Children with Author Barbara Bietz. Read Cynsations interviews with Robin Friedman and April Halprin Wayland. Don't miss the Sydney Taylor Book Award Blog Tour from The Association of Jewish Libraries Blog! Check out this book trailer for Positively by Courtney Sheinmel (Simon & Schuster, 2009). See the video below for Inside Notes for Where the Mountain Meets the Moon with Grace Lin. Source: Elaine Magliaro at Wild Rose Reader. Read a Cynsations interview with Grace. Terrific new videos also include Copyedits Unveiled from Denise Jaden and Crisis Intervention from Kiersten Writes. Don't miss the half-page ad for Eternal (Candlewick, 2009, 2010), which appears on page 43 of the February/March 2010, Vol. 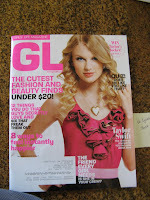 16, Issue 4 of GL: Girls' Life Magazine! 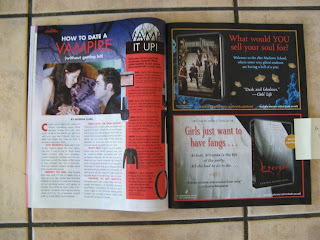 It's positioned across from an article, "How To Date a Vampire (Without Getting Bit) by Georgia Clark and a fashion sidebar, "Vamp It Up!" Eternal will be released in paperback in the U.S. Feb. 9! See the blog buzz, cover art, interviews, review quotes, and reader's guide. The Eternal ad is featured with a half-page ad for Another Faust by Daniel and Dina Nayeri (also Candlewick). Austinites may remember Daniel and Dina as the adorable brother-sister team who spoke with me last fall on a panel at the Texas Book Festival. Author Bethany Hegedus will speak on "scene and structure" ("If You Build It, They Will Read") from 11 a.m. to noon Feb. 13 at BookPeople in conjunction with Austin SCBWI. Note: "bring a notebook and get ready to examine Aristotle's Incline and the 7 Key Scenes every book needs. Please be familiar with Because of Winn-Dixie by Kate DiCamillo (Candlewick, 2000)..., as Bethany will discuss the Seven Key Scenes used to build this gem of a book." "More Than Words: Making Connections With Authors and Classroom Readers and Writers," sponsored by the Texas Association for the Improvement of Reading and the Central Texas Writing Project, will be held from 8:30 a.m. to 3:30 p.m. Feb. 15 at Round Rock (Texas) Higher Education Center. Featured authors are: Margo Rabb; Jennifer Ziegler; April Lurie; Varian Johnson; Liz Garton Scanlon; Cynthia Leitich Smith; Don Tate; Chris Barton; Anne Bustard; and C.S. Jennings. Pre-registration ends Feb. 8. Cost: $20.00 Teachers; $10.00 Students/TC’s. Make checks payable to TAIR-CTWP Conference. Mail to: Diane Osborn; Texas State University; Department of Curriculum & Instruction; 601 University Drive; San Marcos, Texas 78666. Questions? Contact Dr. Catherine Davis or Dr. Sharon O’Neal. 2010 Writing and Illustrating for Young Readers Workshop is scheduled for June 14 to June 18 at the Waterford School in Sandy, Utah. Peek: "Full-day participants spend their mornings in small workshops led by award-winning faculty. Both full- and half-day participants enjoy afternoon plenary sessions by national children's book editors and an agent, as well as breakout sessions by our workshop faculty and guest presenters. The keynote address and book signing are open to all conference attendees." See faculty.